JJS helps manufacturers of low to medium volume, high complexity Industrial Electronics products focus on the core activities that deliver value to them. We provide complete outsourced manufacturing solutions, allowing our customers to spend their time developing and selling new and better products. When it comes to electronics manufacturing outsourcing, the confidence an Original Equipment Manufacturer (OEM) has in their assembly partner is critical. By outsourcing the procurement, assembly and test to the Contract Electronics Manufacturer (CEM), an OEM relinquishes some control over their day-to-day manufacturing operations. As a result, they need to be fully confident that when it comes to making production changes - for example, final configurations or unexpected changes in customer demands - they trust their provider to respond with the same precision and dexterity as they would. As an experienced EMS and outsource partner, JJS Manufacturing is able to demonstrate knowledge, capabilities, skills, processes, controls and agility in managing our customers' business to a level such that they feel wholly comfortable in relinquishing this control to us. Why JJS for your electronics manufacturing outsourcing? Ranked as one of the largest UK EMS providers with a wholly owned off-shore manufacturing facility in the Czech Republic, for over 35 years we have been supporting our clients in growing their businesses. During this time, we have watched our customers develop innovative new products, dominate market sectors, and significantly improve the financial strength of their organisation. Unlike some other CEMs we offer a complete, complementary range of assembly services and solutions, underpinned by our demonstrable track record in supply chain management. Ensuring the integrity and availability of the material we source is something we take very seriously which is why we have over 60 staff across the group dedicated to this critical process. When looking to partner with a new client we always make sure that there is enough complexity in the product or supporting supply chain for us to be able to add real value to their organisation through an outsourcing initiative. 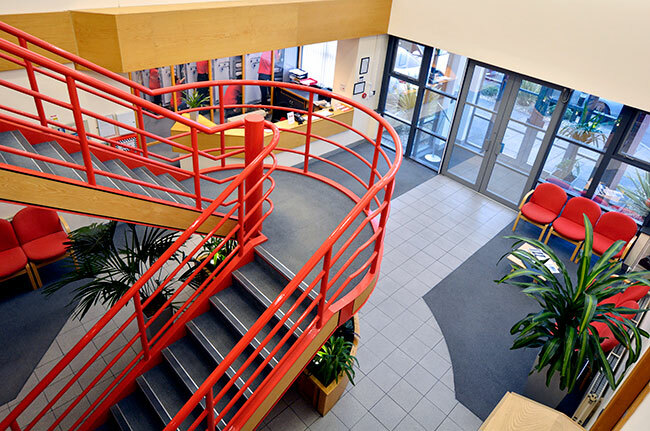 HEADQUARTERS: Lutterworth, UK - 40,000 sq.ft. OTHER LOCATIONS: Chomutov, Czech Republic - 53,000 sq.ft. Bedford, UK - 20,000 sq.ft. Whether you're considering outsourcing for the first time or already working with an EMS provider, keeping on top of regulations and the latest way of thinking can be a challenge. If you would like to receive unbiased, informative content surrounding electronics and electro-mechanical manufacturing click here to subscribe to our blog.